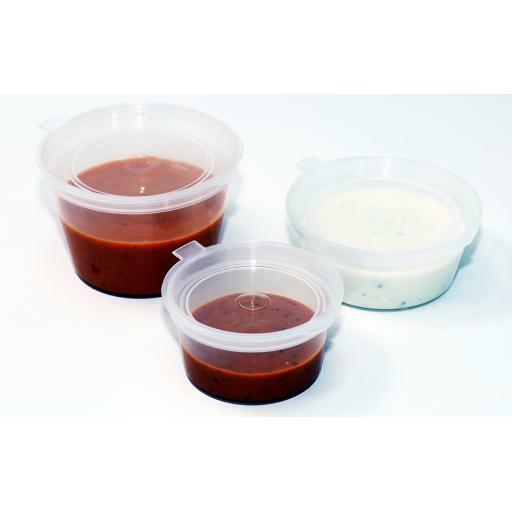 Disposable and reusable portion pots for dips chutney and sauces. 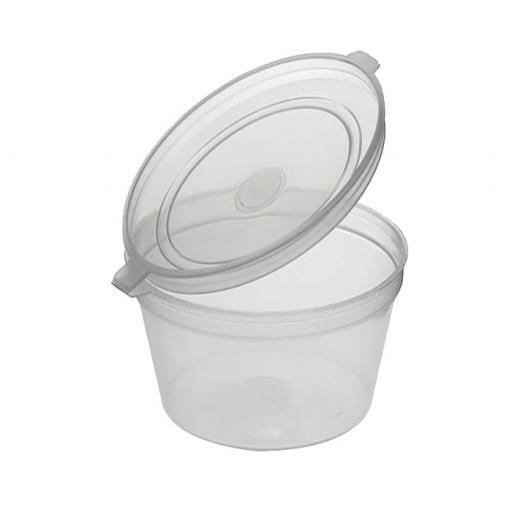 These containers feature a hinged lid for ease of storage, speed of packing and safe transportation. Containers are made from Polypropylene PP alowing them to be microwave safe.